I returned to the UK from the US on 22nd September as the US Department of Homeland Security would not extend my visa despite the appeal process pending in Florida. I get home to find that the new husband of my ex, Emily's mom, had filed stalking charges against me because Patsy and I had complained to the police of his threats to the pair of us and him claiming to be a cop. The result was that despite not being served, there was an arraignment hearing on October 2nd in Panama City before His Honor Judge Shane Vann. I faxed the judge on October 1st to advise His Honor that I was in the UK, had not been served and in any event could not possibly attend because I was overseas. I copied in the family court judge, His Honor Judge Rowe in DeLand, Volusia County for good measure - I checked with the online system - "No action per Judge"
The result is that Judge Vann has issued an arrest warrant for me because I failed to appear. 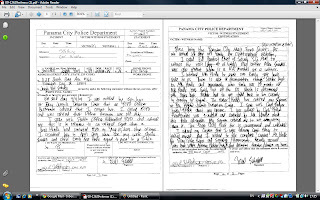 The stalking charges have been filed by Paul Swindell, Sheila's new husband - no stranger to the wrong side of law enforcement with an arrest record for assault and battery on several occasions as well as grand theft, not to mention he was arrested for beating his former wife who also had to obtain a protection order to stop him and which the court was convinced, she needed. He claims I have followed him continuously since April 2009. Yet, with the sole exception of the Spring Break visitation, I have not been within 500 miles of Panama City. Paul Swindell claims I have his home under observation and tracked him down. 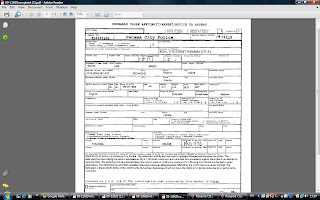 His wife filed a change of address with the court which is how I was notified of the address. He claims I have tried to have him fired from his job. Until he filed these ridiculous charges, I did not know where he worked. Now, call me cynical but what do you think the odds are that as I am told to leave the US by Immigration, a local police department (Panama City PD) with whom Paul Swindell has connections, should file stalking charges against a man who lives 1,000 miles away and now, 4,000 miles away? What do you think the odds are that this happens just as we come to the end of the appeals process in Florida? Answers in an email please but if anyone has a defense attorney willing to represent me pro bono, I'd be very grateful for the referral. Ken Connolly is the author of Throwing Stones and an exceptionally special individual not least because he gives insight into what it is like to be a child subjected to abduction - Ken and his brother were abducted as children by their father in the 70's. 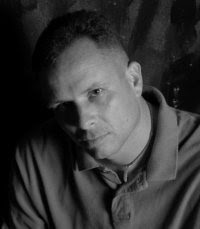 Ken has been tireless in his work aimed at enlightening and educating law enforcement, legislators, the judiciary and the public at large on what it means to be abducted as a child. 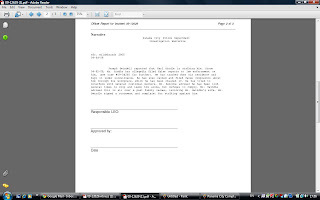 mother against a United States court order keeping them in the United States. Japanese law is not a co-signer to the 1980 Hague Convention on international parental child abduction. Under this confusing, and often webbed convention, the home state has jurisdiction on child custody issues. If a child is taken to another state, that state has an obligation to return the child. Since Japan does not recognize this convention, it allows an open door policy of stealing children to Japan, as long as the parent is a Japanese citizen. On the other hand, if a child is taken to the United States, Japan is quick to request the child returned. Since Japan has close ties to the United States, this indifference is often overlooked. This unbalanced system of international cooperation has created the picture definition of forum shopping. Basically, if you don’t like the court outcome, move somewhere where you will get the outcome you want. What must be understood is that Japan is not the only nation to overlook illegal retention of a child against a sovereign state’s right of custody. However what is important here is that there are numerous cases of non custodial parents who have taken their children to Japan and been given protection. What Christopher’s case shows is that if you try to retain your children, you will be locked up, and charged with the very crime that allowed the non custodial parent to enter Japan. So where did all of this start? Back in January Christopher Savoie was in divorce court from his ex-wife a Japanese citizen. His wife agreed to live within the boundaries of the court ruling. Simply, she needed only to have them back in time for school. Mr. Savoie raised concerns that his ex-wife would try to take the children to Japan. His concerns were overlooked and as a result of poor judgment, his ex-wife was able to secret his children off to Japan. When Christopher discovered what had happened, a warrant was issued in the United States for the mother’s arrest. Japan has a history of favoring mothers as the sole conservator of small children in divorce cases. What is different in Japan is that when the other parent loses custody, they are completely severed from their children. Given the Japanese family court system, it only promotes cases like Christopher Savoie. What is still often overlooked in these type cases is the children, and the affect it has on them. While the parents, courts and officials slug it out, the children sit quietly behind the scenes falling apart internally. As a former abducted child and author on parental child abduction I know exactly how these little children feel and what they are going through. For three years I was abducted by my father and lived in two states. On more than one occasion my father considered moving to Australia. There was the constant fear of being uprooted in the middle of the night and whisked away because the feds were closing in on my dad. On more than one occasion I would wake to the shouts of my father, and cries from my fellow kidnapped siblings. When asked how long it took to become confused and protect my abductor, I often answer within just weeks of the initial kidnapping. What must be understood is that a child unlike their adult counterpart, cannot reason between the crime and the misguided love of their parent. They do not see an outcome where they will be reunited if they go to the police or make a public plea for help. Their circumstance is just life as they know it. When returned home they are confused even further over the ordeal. What can make the child’s experience worse is when the abducting parent denies communication with the other parent, and tries to distort their view of the other parent. For me, I can see this as the main cause for Christopher’s son freezing in the street, and not following his father, and sister to the United States Consulate. After his father has been apprehended, the abducting parent can then use her son’s confusion as a viable argument in court. Sadly, this is not due to his father being unfit, but from the abducting mother’s grooming of her child. What should be taken from this is that Christopher and his children’s ordeal could have been avoided back in Tennessee during the divorce proceedings. The judge was fully informed of Mr. Savoie’s concerns, and history of Japan allowing non custodial parents to abduct their children. Next, if Japan wants equal international rights for children taken abroad, maybe they should change their policy, and join the Hague Convention of 1980, or suffer the same results they inflict upon other State’s custodial rights. Lastly, the effect parental abduction has upon the children involved can have greater impact than stranger based abduction; since the loss of trust is so great.